To complement and honor the name of The Rhinestone Housewife, Blooddrop has created an exclusive line of limited edition perfumes exploring the theme of precious and semi-precious stones. 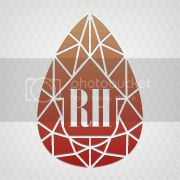 This will be a rotating series only available at The Rhinestone Housewife. Blooddrop’s hand-blended perfume oils are very concentrated and come in a 5ml amber glass bottle with black cone lined phenolic cap. The bottle contains 6-7ml of perfume oil. All ingredients are vegetarian and most are vegan. If you have any concerns, please ask. 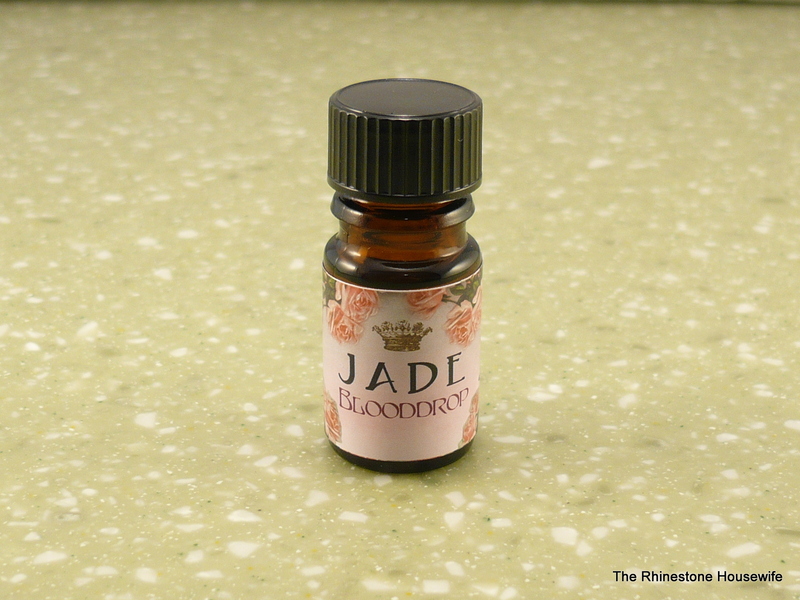 Blooddrop perfume oils are made from absolutes, concretes, CO2’s, essentials, extracts, infusions and synthetics with a jojoba or fractionated coconut oil carrier base. All perfumes are cruelty-free. Amethyst: A lush purple blend with scintillating highlights; wine notes, black cherry, sugared blackberries, tender violet, breathy heliotrope. 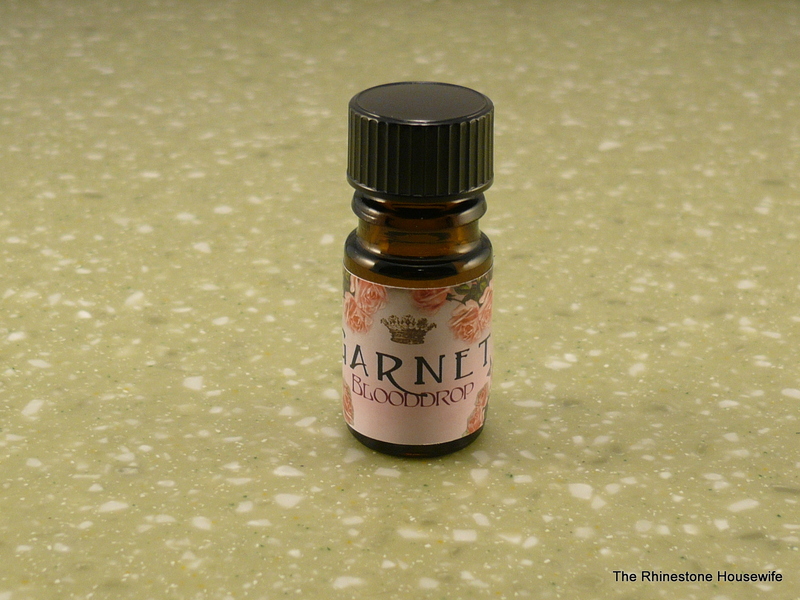 Garnet: This lustrous, cranberry red stone’s blend is bright and enchanting; red mandarin, chrysanthemum, raspberry, rose, rooibos tea leaf, a wee touch of cassia, and adorable lychee. Jade: Blended to imitate a silky, smooth, palest of green nearing white; white amber, matcha powder, vanilla, sandalwood, cyclamen, fern, and green tea. Moonstone: A cool, lunar, dreamy, luminous blend for this goddess stone; white tea, apple meat, moonflower, blue agave, wintergreen, jasmine, and white ginger. Blooddrop Linen and Chamber spray is a new way to add fragrance to your linens and surroundings. This spray is a safer alternative to “plug-ins” and scented candles and is equally long lasting. If you have any pets, please have them exit the room before spraying. This linen and chamber spray is very volatile and can sting eyes and extra sensitive noses! Use with caution and common sense. Do not use on any body (human or pet)! 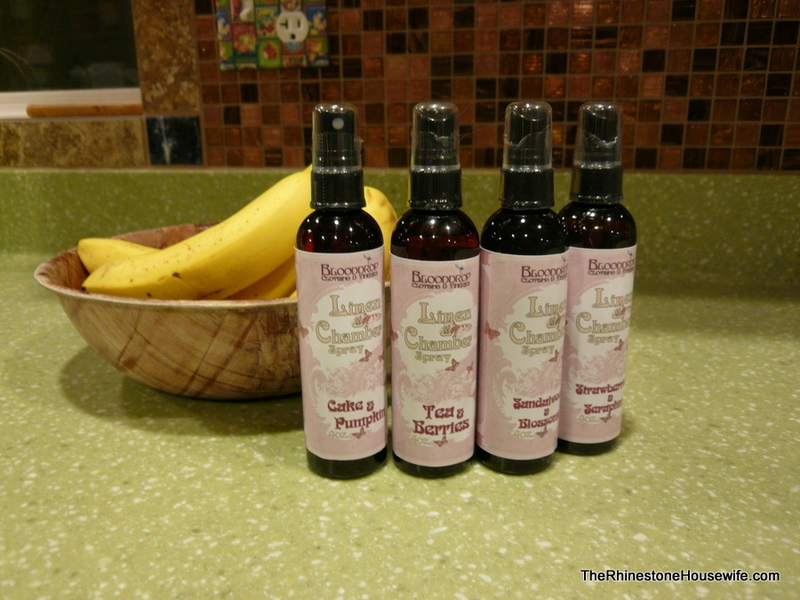 Blooddrop’s Linen and Chamber spray comes in 4 ounce fine mist spray bottles and should be gently shaken before use. 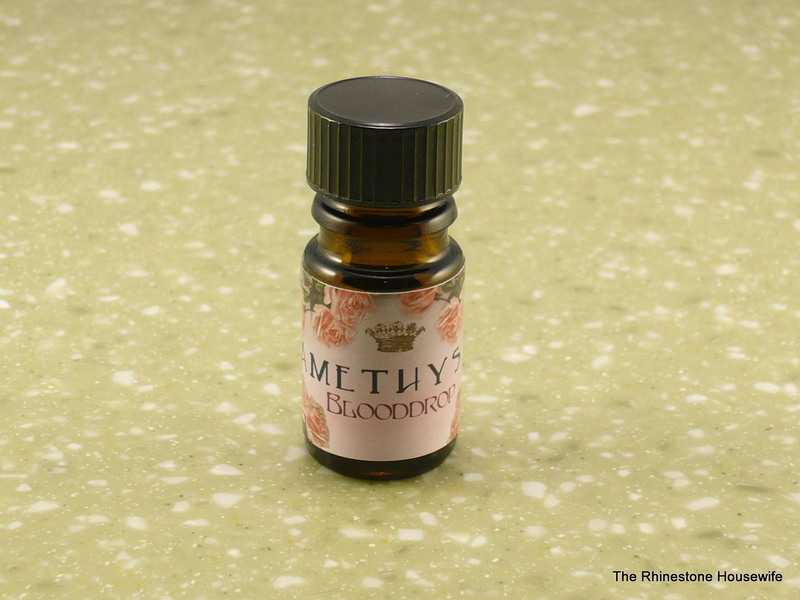 Blooddrop’s Linen & Chamber Spray is cruelty-free and vegan. The following blends have been created exclusively for The Rhinestone Housewife. Cake & Pumpkin: If you’d like your home to imitate the scent of an autumnal bakery, this captures the scent of scrumptious cupcakes, buttercream frosting, brown sugar, spices, and pumpkin. You don’t have to wait for October for this one. Sandalwood & Blossoms: Evocative, soothing, and sensual, this scent is also perfect for quieting the mind with its lush blend of sandalwood, blood orange and neroli blossoms. Strawberries & Seraphim: An unlikely, but heavenly blend of sugared strawberries and a traditional Arabian attar lifted with litsea cubeba. Tea & Berries: A dainty, bright and fresh scent for your home and linens; raspberry herbal tea, white tea leaf, cucumber and ylang ylang. Cuticle Charm is a nourishing balm made especially for those needy fingers and nail beds to render them soft and supple again. This special cuticle treatment contains only natural oils and butters, such as sweet almond, mowrah, mango and coco butters melted into apricot kernel, macadamia nut, and vitamin E oils. Also included is candelila wax to create a protective cover to your skin. To add a final touch, Cuticle Charm is scented with sweet orange and vanilla absolute for a lush orange cream scent. This product is vegan and cruelty-free. 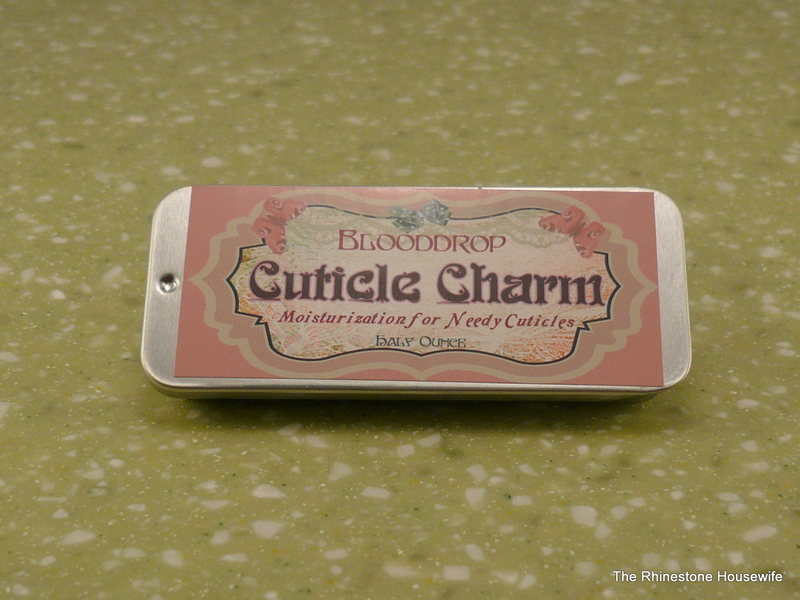 Please take care of Cuticle Charm in warm weather, as it will melt if temperatures are too high and sneaky out of its container! Sold in half-ounce slidey tins. Ingredients: Candelilla (Euphorbia cerifera ) Wax, Madhuca Latifolia (Mowrah) Butter, Prunus amygdalus dulcis (Sweet Almond) Oil (and) Hydrogenated Vegetable Oil, Mangifera indica (Mango) Seed Butter, Macadamia ternifolia Seed Oil, Prunus armeniaca (Apricot) Kernel Oil, Theobroma cacao (Cocoa) Seed Butter, Citrus sinensis (Sweet Orange) Oil, Vanilla planifolia (Vanilla) Oil, Tocopherol (Vit. E). 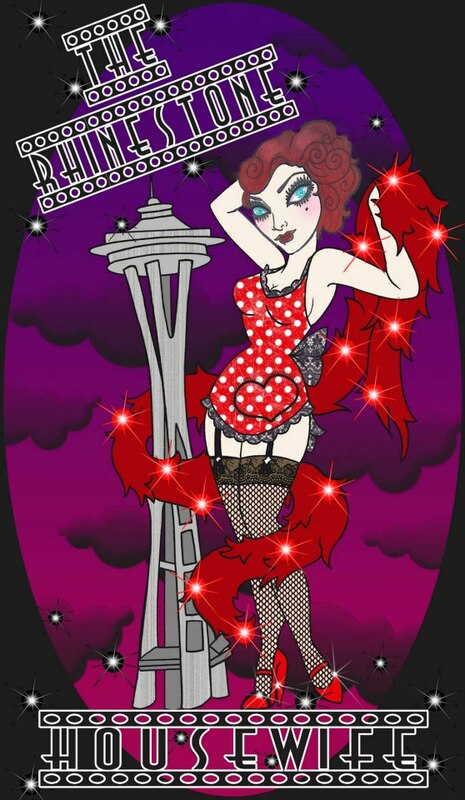 NextFlash Sale At The Rhinestone Housewife-Soap 20% Off!